Skincare has become such a big thing for me lately, I'm always looking for some new product that's going to help keep my skin in tip top condition as sometimes I don't feel so confident with it. Luckily enough I have my moisturiser down thanks to skinchemists and my skin always feels silky smooth, I also have spot free skin (most of the time) thanks to clearasil so that's another box ticked off but what about cleansing my face? Well, I have tried so many things to try and exfoliate my skin and keep it looking polished, I have the perfect scrub thanks to anatomicals. 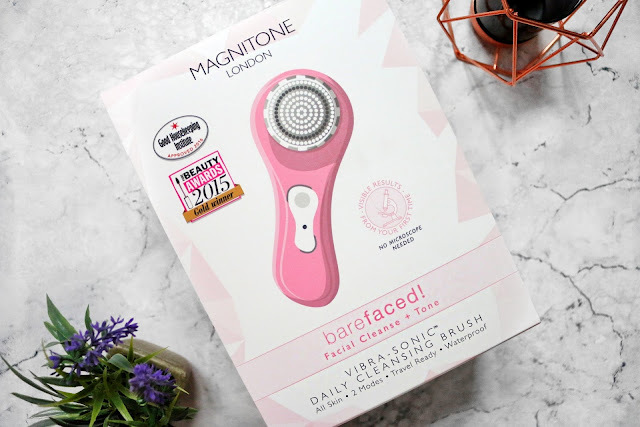 Now that I have all that down I just needed a product to actually cleanse my face that's better than a face cloth but I need worry no more because I now have Magnitone Londons's Bareface in my life! Since I started using the Bareface I have found that my skin looks glowing and that's without using any moisturiser yet! It feels super clean, I really can't remember the last time it felt like that. 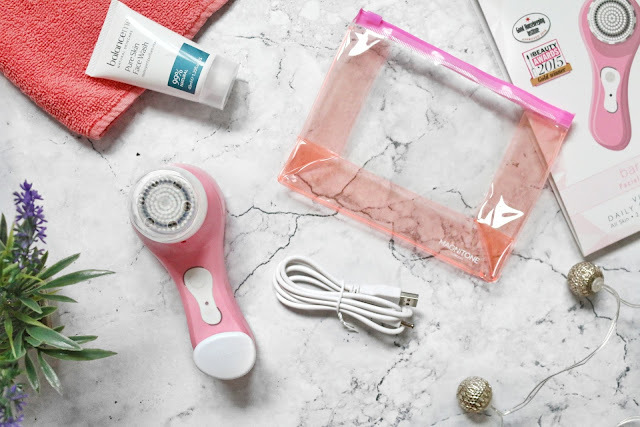 I love that the Bareface is waterproof because it means I can use in in the morning shower, in the bath and I don't have to worry about breaking the product which to me really makes this the best I have come across. 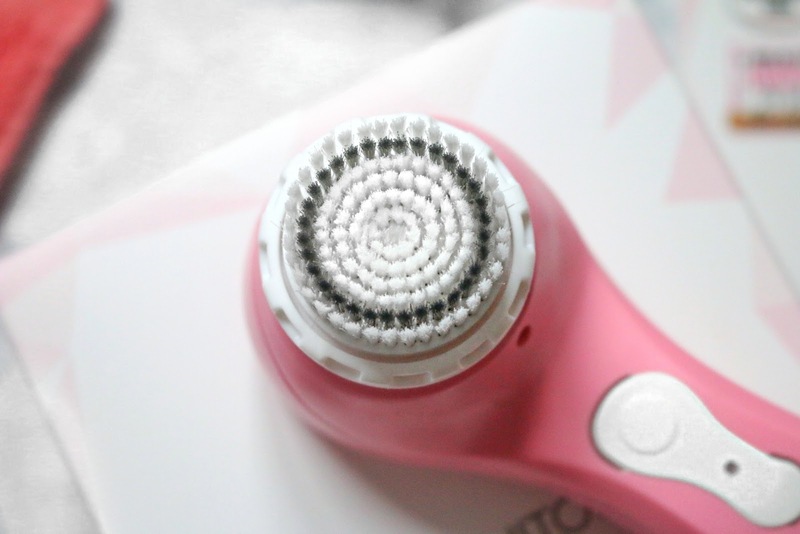 The Bareface has two different speeds, you press once for the daily cleanse speed and twice for the PulseLift one. I tend to do my face once over with the daily cleanse speed and then another time with the Pulselift speed and that seems to work really well for my skin. I use this daily but you can use it every other day or twice a week if you want, I think it just depends on how you want to incorporate it into your routine although it blends in really well, you don't have to change your routine up, this can easily be injected in. The Bareface can be used with your cleanser, face wash, what ever you use to cleanse your face, wet the brush first and either apply your chosen product to your face or directly to the brush head then off you go! The Bareface does have a timer on it so after one minute it will turn off but you can just turn it back on if you aren't finished yet. Glide the brush over your face in small circles to help exfoliate and clean your skin. Once you're done though remember to clean the brush on your Magnitone, I know that's a given but I just wanted to put that in haha. In the box you get the charger which is a USB port that can be plugged into your laptop/pc or a USB plug and the charger is one of the best I have ever seen! It's like a magnet that attached to the bottom of the Bareface via another magnet that's in the product itself! It's so cool and I was blown away by it. You also get a little splash proof travel bag to keep your Magnitone in which its a lovely little accessory. "Vibra-Sonic™ Daily Cleansing Brush deep-cleanses pores, tones and beautifully conditions your skin. For skin that deserves to go BareFaced! wherever, whenever." All in all I am in love with this facial brush. I really didn't know how much I would need this in my life until I started using it, now I don;t think I could live without it because the difference in my skin is miles apart! 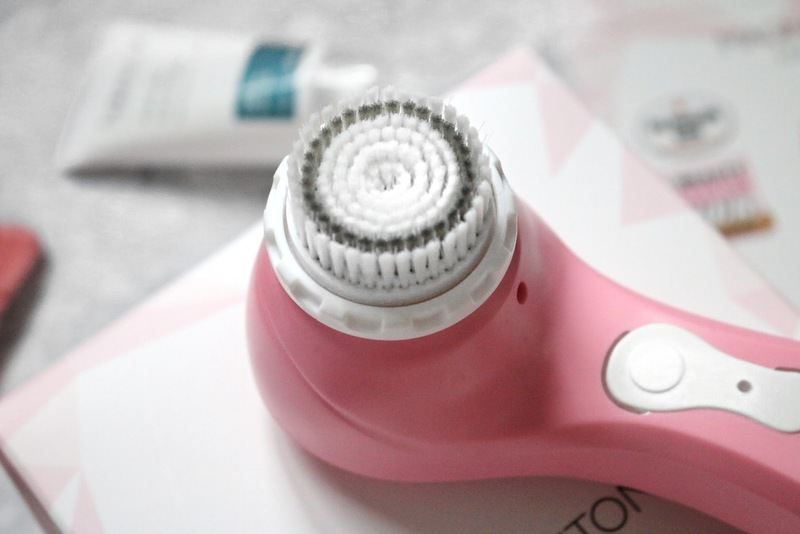 I will say that I think the big change in my skin is down to the fact I'm using my Magnitone every day plus my Sensse three times a week to make sure my skin looks in tip top condition. 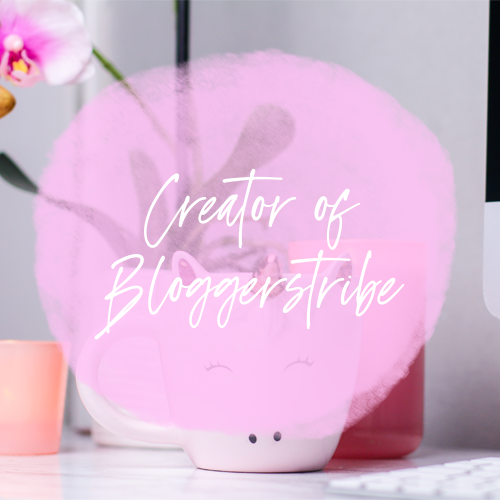 This has definitely been a much welcomed saviour in my life and I can't recommend it enough! It may be £70 but trust me, it's worth it! Plus this comes with a two year warranty card (it looks like a proper members card and I won't lie, it made me feel like I was part of the cool kids gang haha) So you can just go on and register that, once you register it you will get £5 to spend on their website, perfect if you want to buy some replacement head brushes or want to pick up their new Well Heeled express pedicure system. My skin is horrendous as i havent really been looking after it recently (terrible i know!) and ive been incredibly lazy, but this looks like it could make my skin care routine so much easier! Aww really? That's not good :/ did you register your two year warrenty? Tbh I see it as such a great investment because it has a 2 year warranty and it works abosultley amazing! This looks interesting! It's quite pricey but, if it works, it could be worth the money! I was shocked at the price Ngl! But if it's going to work, then I guess it's value for money! 🙌🏼 It looks good I must say! This is like an affordable Clearsonic, love it! I've been using a facial sponge, but I've been wanting to try using an electronic brush and might give this a go. Great review! I've been wanting to try one of these brushes for ages, I've just always been put off by the price! although this one does look amazing and would work perfectly to help exfoliate the dry skin I have around my nose. I'd never heard of this kind of product before. Sounds like you really love it! I didn't know this product existed. I need it in my life. I don't get on with moisturisers so this would be perfect for me. Really intrigued about using a product like this! At the moment I'm so bad with my skincare, something like this might encourage me to stay on top of it! This looks amazing! I've always wanted to purchase something like this but the price tags always used to put me off, but this sounds well worth the money! And I love the colour! I have heard a lot of good things about this gadget. Would love to try it. I've started using a face brush as well, and it helps SO MUCH! I've seen a couple of these recently, it seems to be big business! I think I might have to invest in one to see if it will help with my skin. £70 is a little steep, yes but I feel for something like this you need to invest in a good quality one for it to last! It's like a electric toothbrush or razor, right!? Perfect review lovely, I'm definitely going to check it out. I totally agree! It's investing in something that's going to last and really help! I love that there's a 2 year warranty! I love your product reviews, I immediately want to go shopping these products after and this one looks amazing. Great review! How cute is the packaging on this? I'm so impressed that it's given your skin such a lovely glow before you even apply moisturiser! 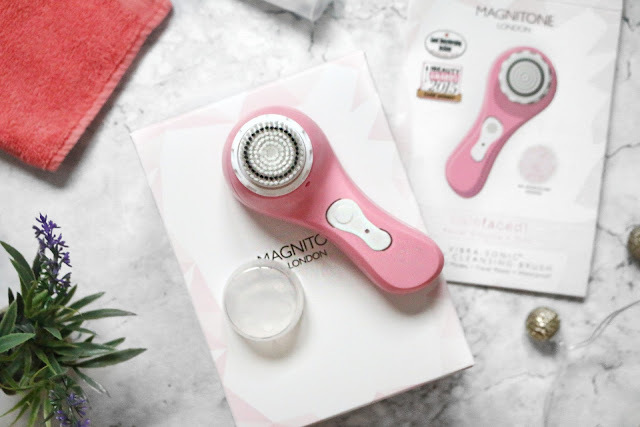 I've been tempted by a Magnitone for so long, now might be the time to invest! 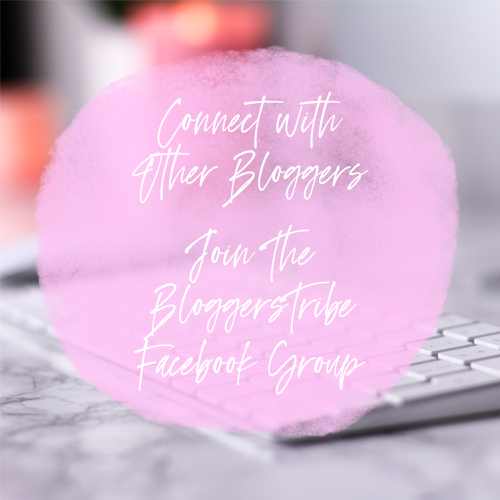 Thanks so much for sharing your thoughts! 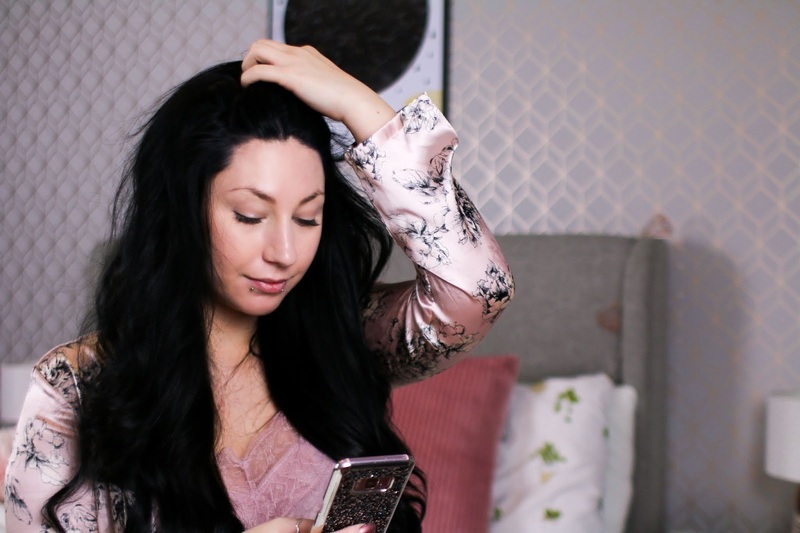 It's so worth it, I really can't imagine my routine without it now!